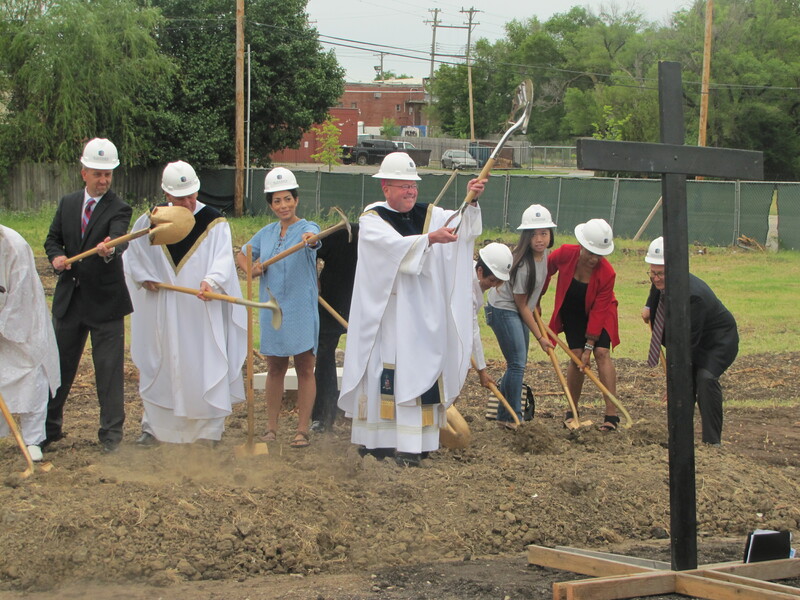 Holy Savior celebrated their groundbreaking Sunday, June 24th. Festivities included a special mass with current priest Fr. Jim Billinger, former long time priest Pat Malone, and Bishop Carl Kemme. The project, to be completed by Simpson Construction Services, spans across six acres over the 13th and Hillside campus where the church still resides. The project will include a new 28,000 sf school, as well as a new 20,000 sf church. Simpson Construction is a fourth generation commercial construction company that has been in business for nearly 60 years. Simpson Construction is led by Bob Simpson and based in Wichita, Kansas. Their vast commercial construction experience includes Educational, Medical, Senior Living, Multi-family, Financial, Community and Religious Facilities.